Know headache symptoms so you can ward them off! The symptoms for headaches differ for every person. Knowing what your symptoms can help you take the necessary steps to end it or prevent it from getting worse. If you find yourself stressed often, you probably have experienced your share of headaches. 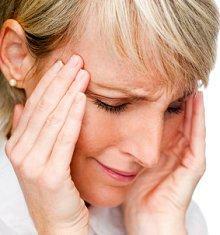 Head pain is not fun and sometimes makes working difficult or impossible. Taking medication or employing relaxation techniques can ward off a headache if you feel it coming on, however, you must know what your symptoms for headaches are so you know when to medicate. Fatigue: Even after a good night's rest, you start yawning and feeling tired for no apparent reason. This symptom is tricky because you could just be exhausted but it could also signal that your head is getting ready to ache. Dizziness: Some people feel dizzy even when sitting down. You may believe it has to do with another medical problem but after the dizziness subsides or increases, you start to feel tension or pain in your head. Fogginess: This feeling is difficult to explain unless you know what fogginess feels like. You might feel dazed and out of sorts but not be able to put your finger on the cause of it. Nausea or Vomiting: Some individuals will feel sick to their stomach at the onset of a headache, particularly a violent one. Diarrhea or Constipation: Gastrointestinal problems are not common but it may signify the onset of a migraine. Cravings: You wouldn't think that cravings would have anything to do with head pain but they do; typical cravings include salty and sugary treats that can affect how the blood vessels in your head respond. Loss of Appetite: You may not feel like eating because you feel sick to your stomach. Seeing Spots: Seeing spots in another precursor to a headache but it can also signify high blood pressure so check with your doctor if this is one of your symptoms. Sinus or temple pain is one symptom. Eye Strain: Your eyes might start to feel tight and dry prior to a headache. 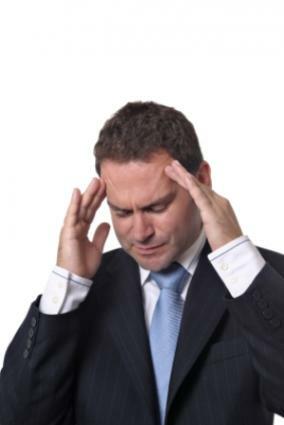 Blurred Vision: Some people report having blurred vision before their head pain. Coordination: You may have a hard time with coordination or be exceptionally clumsy before you start feeling pain in your head. Focus and Concentration: You might have a lack of focus and concentration as your head gets ready to ache. Muscle tightness: Tension headaches start with muscle tightness in the upper neck and lower head. Sensitivity to Light and Sound: The light in your office may seem to bother you even if it hasn't before. You also may find yourself cringing at certain loud sounds. Irritability: Everything around you seems to make you upset and you don't really know why. Tingling in Extremities: You may feel pins and needles in your hands and/or feet. Some people report having this sensation around the mouth and nose right before a migraine hits. Hot or Cold Flashes: You may suddenly feel hot or cold with no temperature change. Paleness or Flushed Skin: Someone may ask you if you are feeling okay because you look either pale or red in the face. Fever: Not a common symptom but some people do experience a low fever, the body's natural reaction to pain. Sinus Pain: You may feel achiness underneath your eyes, around your temples, or across the bridge of your nose. Congestion or Runny nose: Some people experience congestion or a runny nose without having a cold or flu. If you have a difficult time knowing when you're about to have a headache, keep a journal of how you feel throughout the day, each day until you suffer from one. Then you can go back and read the symptoms of headaches you may experience. The bonus in keeping a journal is that you may also figure out what triggers them, then you can avoid whatever environmental causes may be influencing your pain. By understanding the symptoms for headaches, you can work to avoid this stressful pain, but don't hesitate to show your doctor your journal and ask for help.